Arran distillery, at present (June 2018) are building a new second distillery on Arran with it going to be called Lagg Distillery. With this distillery opens in spring 2019 and when operating to full capasity it will increase their production to 2 million litres. They also hope that the visitors to the two distillery will exceed over 200,000 by 2020. The first Arran Distillery was built in 1995 and produces Arran Single Island Malt Scotch Whisky and Lochranza Blended Scotch Whisky. Arran is a very special place to visit and while you are there you have to visit the distillery and see the full range of malts avaliable to the public. Arran distillery was award a very special award in 2007 when it was Scottish Distiller of the Year. This was a great achivement for a distillery and really put Arran malts on the whisky map. If you would like to know more relating the the Arran Distillery their contact information is as follows - Arran Distillery, Lochranza, Isle of Arran, KA27 8HJ. The contact telephone number is for this distillery is +44 (0)1770 830264. You can visit the website for Arran Whisky Distillery by going to www.arranwhisky.com. Here you will find out all the exciting news from Scotland's newest whisky distillery. 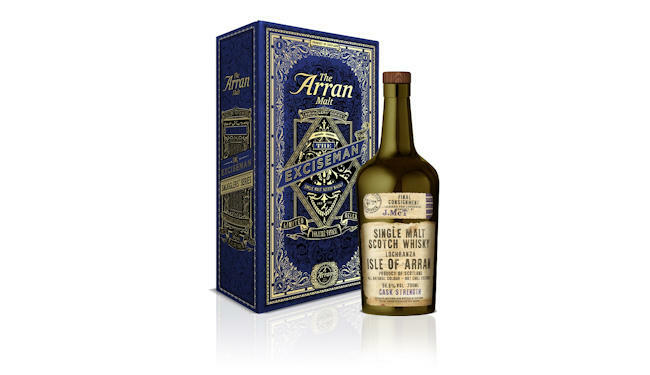 There is a blog and a forum also on their website where you can ask question relating to Arran Whisky and any other questions that you would like to know the answer to.